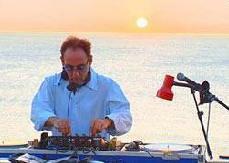 José Padilla is an influential Spanish Chill Out and Downtempo DJ and producer. Padilla is famous for his long running DJ residency at the legendary Café del Mar in Ibiza and for establishing the equally famous Chill Out compilation series of the same name. Padilla has released close to twenty albums and compilations.